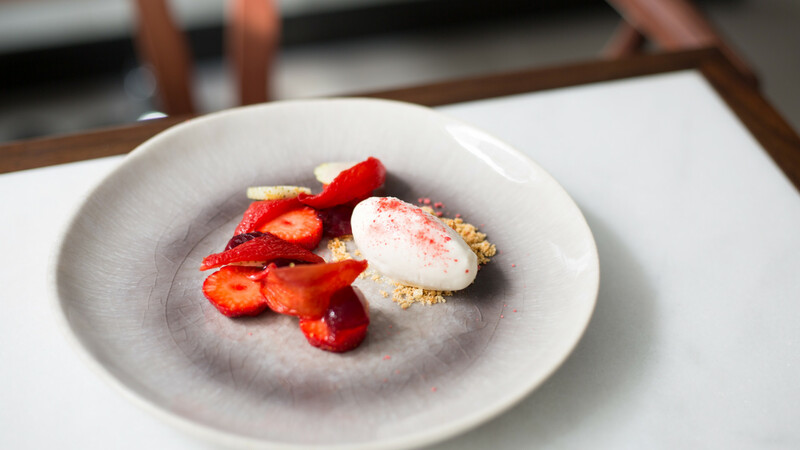 Stem is the latest outpost of Mark Jarvis, king of the modern tasting menu and the man behind acclaimed dining spots Anglo and Neo Bistro. 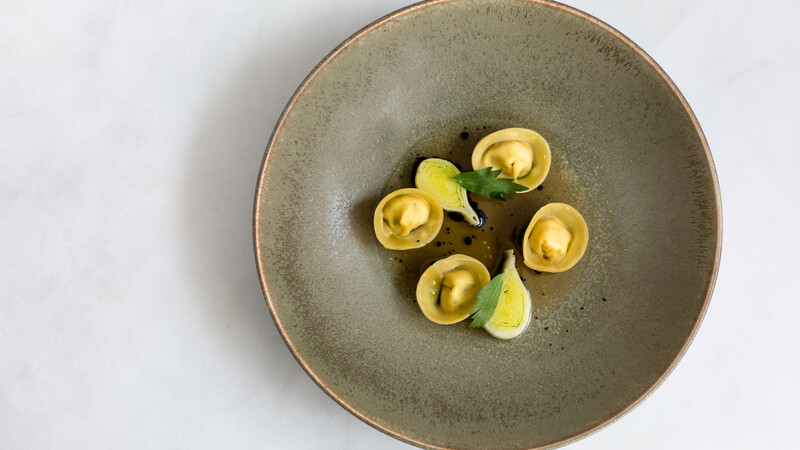 Where Anglo is slick, elevated modern British cooking and Neo Bistro is an intimate, European take on the same, Stem feels slightly more posh. 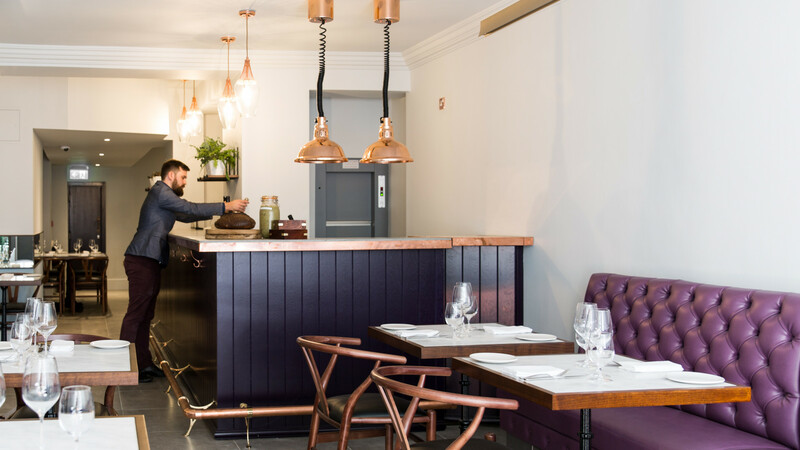 Crisp white interiors, dark wood flooring and purple leather banquets nod to the restaurant's monied Mayfair surroundings, but at £56 a head, Jarvis continues to deliver affordable, top-level tasting menus with flair and finesse. 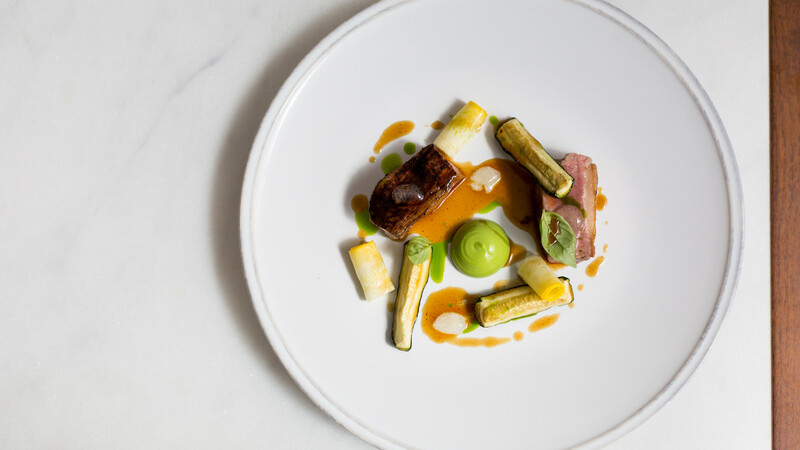 Day to day, the kitchen is led by head chef Sam Ashton-Booth, who earned his stripes at Restaurant Gordon Ramsay, Marcus Wareing at The Ledbury and Alain Ducasse at The Dorchester before working with Jarvis at Anglo. A causal 100-bin wine list comes courtesy of GM Emma Underwood. If you're going all out, we'd recommend the drinks pairing (which will set you back an extra £40), but you can't go wrong with a carafe or two. We began with a glass of juicy, white fruit-laden organic 2017 blend of avesso, alvarinho and arinto grapes from the Quinta dos Espinhosos estate in Minho in Portugal's Vinho Verde region, before settling in with the dry, aromatic Vater & Sohn muller-thurgau blend from urban winery 2Naturkinder in northern Bavaria. It's a tasting menu, so the short is answer is 'everything' – especially the dinky amuse bouche of crisp tart filled with emerald-green chive emulsion and chopped runner beans. Foamy white onion soup was unbelievably moreish; heritage tomatoes lay seductively on a bed of nori seaweed and dotted with buttermilk, to be eaten alongside a tiny bowl of consommé; and springy sourdough was among the best we've tried. 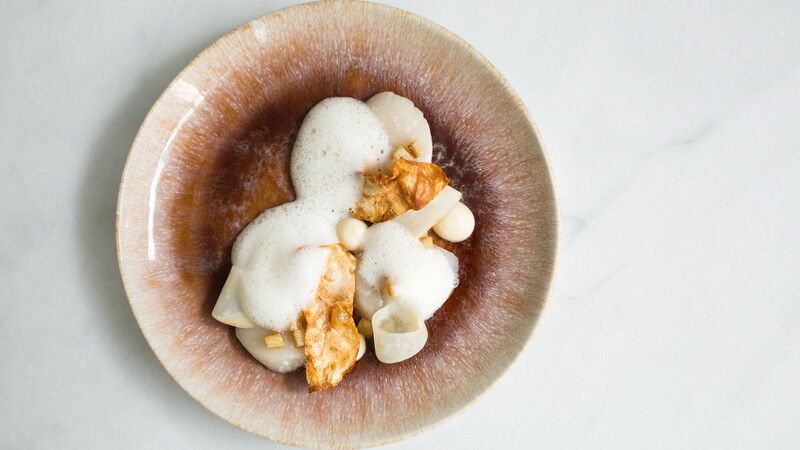 The 'main' dishes featured plump cod cheeks with mussels, and slow-cooked beef cheeks, but we were pleased to see veggies and vegans get a look in with dedicated dishes, like a chewy, soul-warming bowl of barley risotto with fermented mushrooms. The unexpected winner for us, though, was a palate-cleansing, perfectly pitched pre-dessert of zingy, cooling kaffir lime granita that wiped the slate clean – just in time for pud.